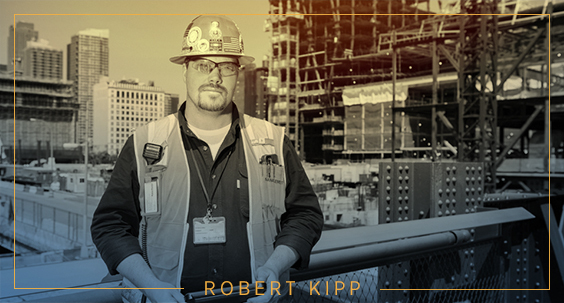 Robert Kipp (’15SPS, Construction Administration) is the youngest General Superintendent of a Megaproject in the United States. His job? He’s building the new $3.8 billion Delta terminal at LaGuardia Airport, his little project in Queens. He came from humble beginnings and was planning on a career in law enforcement. After September 11, 2001, that all changed. He tells us his story and advice for other veterans. I’m from Northern New Jersey. My grandfather and father were both in the military, but my initial plan was to be in law enforcement. I joined the National Guard for two years just to get some of those skills. But then 9/11 happened. Out of patriotism and duty to country, I requested an active duty assignment. I did two tours in Iraq. Then I thought about my future. I sat down and thought about my strengths and weaknesses to decide what field would be next. Construction seemed like the way to go. 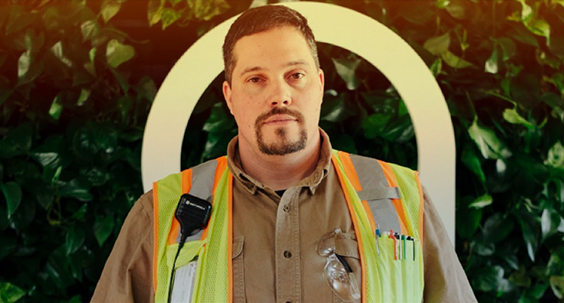 Why is construction a good career for veterans? The biggest construction enterprises in our history are the Roman Military, the British Military, and American Military. The only man-made structures visible from space are military projects—the Great Wall, the Panama Canal. No other organization can galvanize an entire society to act toward the same goal. What’s more, in construction, just like the military, you work in the field with your team to get it done. That’s why the same characteristics are needed: trust, communication, and caring about every human. That value that the janitor has just as much to contribute as the General. Why did you choose the Construction Administration master’s program at SPS? These days, you need the diploma and the experience. It’s no longer one or the other, especially in New York City. Before graduate school, I had no professional training. I was considering an M.B.A. like a lot of other vets. But I went with SPS. I gained a strong professional network and expanded my leadership skills—that’s a quality that’s recognized and honed in the military, then expanded during your education. Veterans need to know that anything is possible. The character you gained in the military—that attitude of failure is not an option, of trust, teamwork, and dedication—most of the population does not have that. For you, anything is possible. Learn more about the Master of Science in Construction Administration program at Columbia University’s School of Professional Studies and visit Student Financial Services for information about benefits and resources for veterans and service members at Columbia University.